The Manhattan FISH MARKET are celebrating their new achievement of Best Western Restaurant 2015! 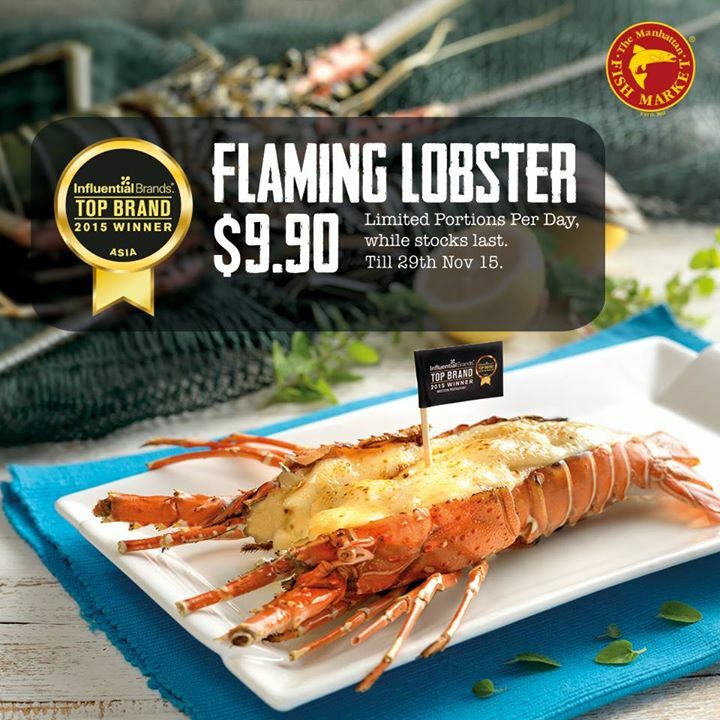 Come and celebrate with them and enjoy Flaming Lobster at a steal at only $9.90! Limited portions per day, while stocks last, till 29th Nov 2015. Offer is available for dine-in and all outlets. Price is subject to 10% service charge and 7% GST. Image is for illustration purpose only. Don’t forge to share this offer with your family/friends and enjoy it together.